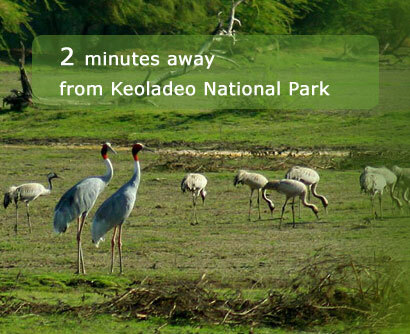 Hotel Pratap Palace is ideally located at 2 minutes walking distance from entrance to the Keoladeo National Park. 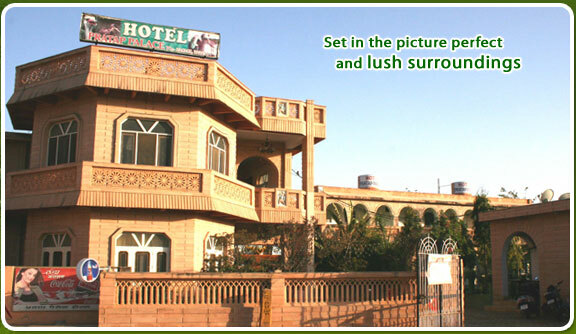 A beautiful Pink Sand stone building beside the NH-11 built in 1994 now a leading hotel in very short time. keeping the indian tradition alive with sheer comfort at most affordable tariff. Hotel Pratap Palace provides Doctor on call, Laundry, Lounge Service, Postal Services, Parking Facilities, Safe Deposite, Camp Fire, Taxi on hire, Parties or Request S.T.D., I.S.D. Facility. Krishna Restaurant having continental, Chinese, Italian and Indian food. Garden restaurant and pool side party facility. Our menu offers you a wide variety of Indian, continental and Chinese dishes with local specialties and restaurant keeping the highest standard of hygiene.